TOMMY O’DONNELL ADMITTED that Munster have a lot of room to improve in the next fortnight, despite their bonus point win over Treviso in Cork today. The flanker scored a try on his 100th appearance for his native province, but both players and supporters were left frustrated after a second half that yielded only a penalty try. “It’s good to get the bonus point and nice to be up there at the top of the table, but it’s disappointing really,” O’Donnell told TG4 post-match. “There were one or two factors there where we could have been more clinical. We said Treviso were going to be physical and they were. They never gave up. They made us work for every point. Especially in the second half when they could have easily give up. In a game where Munster appeared to struggle to keep a high intensity against a team they were expected to easily swat aside, O’Donnell’s try was one of the few moments of real efficiency. The flanker stormed through a gap thanks to a set play from a line-out on the Treviso 22. After watching Ulster strangle the last bit of life out of Leinster’s season last night, however, O’Donnell knows it’s going take an almighty effort to stop the northern province completing a clean sweep at home in the league this season. Email “Plenty of improvements required before Munster's showdown with Ulster”. 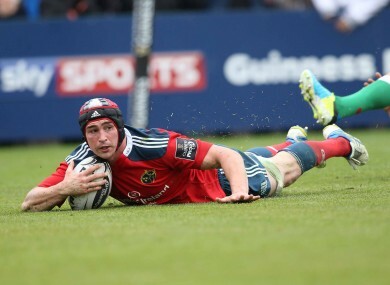 Feedback on “Plenty of improvements required before Munster's showdown with Ulster”.